The University provides the opportunity for students to participate in a number of extracurricular activities. 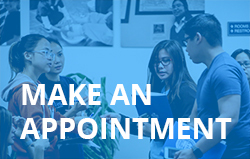 Students are encouraged to participate in a professional organizations, students associations, and events that are offered both on and off-campus which is listed on our community of interests calendar. These events are designed to help students be involved and give back to their community and to develop career—readiness skills. Students often report that the more engaged they are in campus events, the more beneficial and enjoyable their AUHS experience and education is. Student Nurses Association (SNA) is a professional organization for nursing students that allows them to get involved professionally in the nursing field. If offers students the opportunity to develop the leadership shills that will help them throughout their career as a nurse. The purpose of this organization is to: 1) Bring together and mentor students preparing for initial licensure as baccalaureate prepared nurses. 2) Convey the standard and ethics of the nursing profession; 3) Promote development of the skills that students will need as responsible and accountable member of the nursing profession; 4) Advocate for high quality, evidence-based, affordable and accessible health care; 5) Advocate for an contribute to advances in nursing education; 6) Develop nursing students who are prepared to lead the profession in the future. The Honors Society was created to recognize the excellence and commitment the students and AUHS have towards education and in the field of nursing. It serves by facilitating professional growth through development, dissemination, and utilization of knowledge. The Honors Society serves as a link between the classroom and the nursing profession by advancing leadership and promoting roles that reach beyond the classroom setting based on a commitment to strengthening nursing. Programs and services encompass education, discipline, research, and Christianity through interaction with fellow peers and faculty. In support of this mission, the Society advances nursing leadership and scholarship, and furthers the use of nursing research in healthcare delivery as well as public policy. Today, over 30 years after its founding, ACRP remains a primary source of education, information, professional development, and networking for clinical research professionals. ACRP welcomes clinical research professionals from a wife variety of organizations and roles. The Association provides the industry’s primary venue fro professionals representing different industry segments and roles to exchange information and resources. ACRP Southern California Chapter was formed and operates on the AUHS campus.